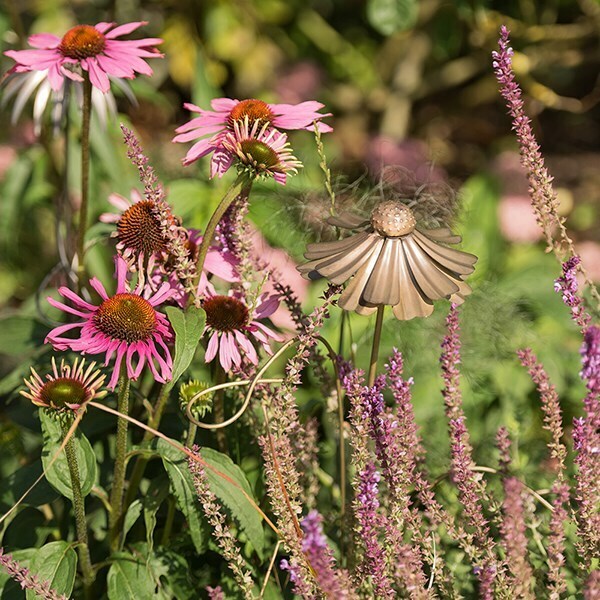 Support growing plants and add year-round interest to beds, borders and pots with these sculptural helenium stakes. Includes two wire loops to support surrounding stems. Please note: these individually handmade and finished stakes may include some sharp points or edges. Take care when unpacking and assembling them and position in a quiet spot off the beaten track.